Amanda King demonstrates in Hidden Scars that going to church does not necessarily make you a good person or mean that you know God. Morgan’s father is a deacon but though he acts the part in public, behind closed doors is another matter. The reader is reminded of the Pharisees who also liked to put on a show. The themes of forgiveness and forgetting run throughout the novel. 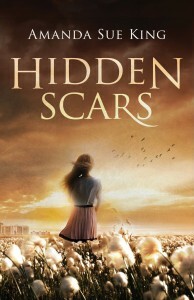 Morgan has much to forgive her parents but because of the daily reminder of her scars, will she ever be able to forget? In spite of what Morgan has been through, she is not bitter. She has a big heart and can spot suffering in others. I found Morgan to be a very likeable character. Amanda King has drawn her excellently. I found her very rounded and ‘real’ and I ‘felt’ her pain and insecurities. Prayer is of utmost importance. Chuck, Morgan’s friend tells her “If you worry, why pray and if you pray, why worry?… You are going to have to turn fear into trust.” It is so important to remember Jesus’ words to pray about everything. Prayer is the most powerful thing we can do. In our weakness, we must lean on God. Amanda King in the novel shows that sometimes God is quiet. “Can you see me God? Can you hear me?” One must never confuse silence with inaction. Silence does not mean that God is not still working on our behalf. The late 1960’s was a time of deep unrest in America and especially in Mississippi where the novel is set. The racial inequality, peaceful protests and the death of Martin Luther King are briefly mentioned. The Vietnam war is covered more deeply. Amanda King shows the war from the home front, the anguish and fears of those left behind. War alters people and Amanda King briefly touches on PTSD. War was unpopular with the American public and this affected the soldiers morale. Amanda King shows how God is our anchor in all times. “Don’t take your eyes off Him… He’ll get you through the tough times… He’s your comfort and strength.” With God in the centre of our lives we can face anything. Everyone faces trials but God can walk beside you in the testing times. Hidden Scars is a brilliant novel. It is an uncomfortable read at times but Amanda King writes with sensitivity. God is very much at the heart of the novel. Life is not always easy but keeping one’s eyes fixed on Go is what can get you through. “God knew our hearts, our names and our future.” Our earthly fathers may fail us but our heavenly father won’t. There is love running throughout. Morgan is not alone. She has support from friends and extended family to love and help her. She does need to learn to trust. 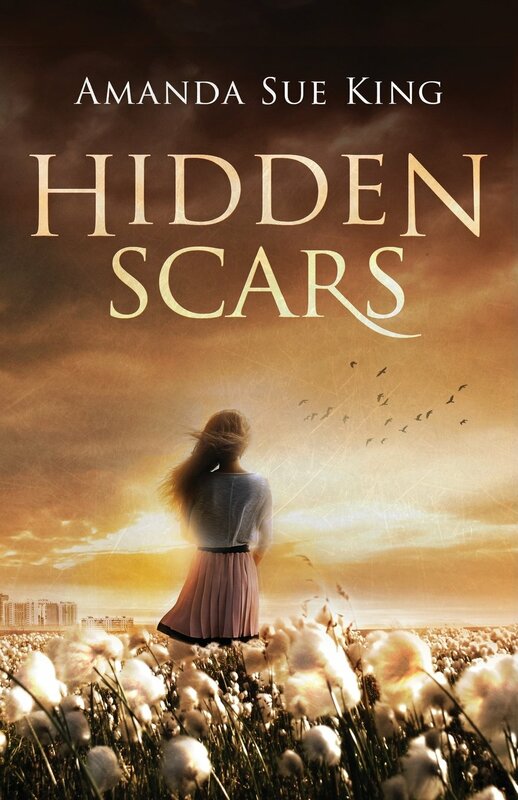 Hidden Scars is a gritty, realistic read. I found it compulsive too and read it in just two sittings. I can highly recommend it. It is a fantastic debut novel. Thanks Julie for a wonderful review!!! Your insight was spot on with everything I was hoping to relay to the reader. As an author, I really want to get the underlying message to connect to the reader and I appreciate the fact that you made those connections. Thanks again for all you kind words and help. Blessings!